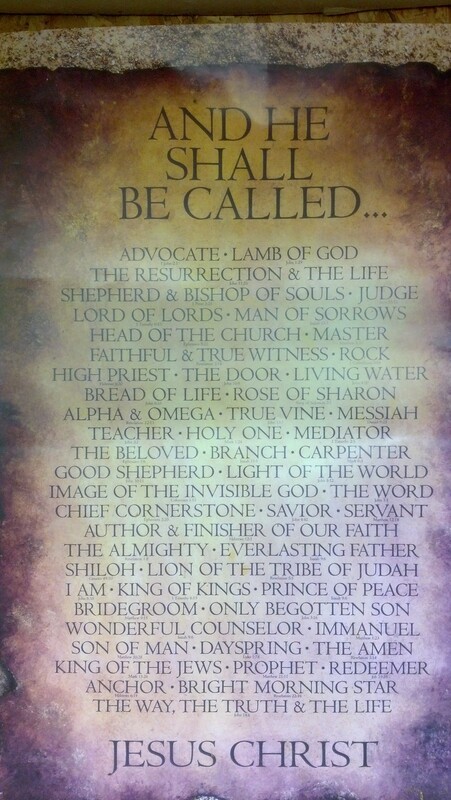 Last Sunday we, at Rainbow, considered the many names for God. On Monday, Steve Goeke sent me this image, along with a note saying that this poster hangs in his shop. “A good reminder,” Steve wrote. Indeed. And a great way to begin the season of Advent.